The love language of SERVICE is my favorite of the 5 (time, talk, gifts, service, and touch) because it’s the one I like to receive the best. Also, as you’ll see in the description below, a person who speaks the love language of SERVICE is always full of advice for other people on how they should run their lives. And that’s what I do for a living! Give advice! The vast benefit of speaking the love language of your customer is that she will understand you faster and trust you more. That’s true whether your “customer” is your partner, your child, or your next-door neighbor. 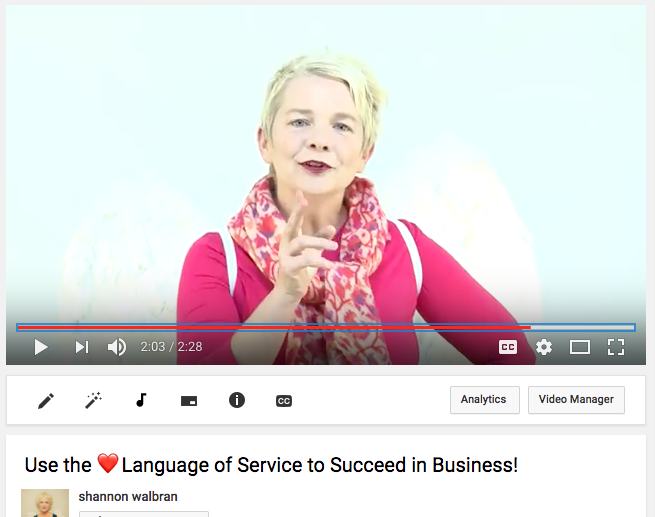 Watch the video here or keep reading to learn more about how the love language of SERVICE will serve you! As soon as you hear words like these from your customer, that’s your clue! Her love language is SERVICE! Once you know her language, how can you speak her language so that she trusts you? If she cares enough to tell you her ideas, take her suggestions! Put more staff people on the sales floor, or offer your products in more sizes. Why not? She’s the customer, she knows what she wants! Get in touch with your customer, tell her that you have indeed implemented her suggestions, and tell her which ideas are working. Let her know she has made a huge difference in your business. When you speak the love language of SERVICE, you can turn your worst enemy into your most loyal client! Blessings from Your Business Angel! Do you recognize these loving questions? Do you need anything else before you go to bed? Have you finished your homework? Do you need me to look it over? or how about these actions, even if there are no words attached? When somebody feels loved in the way she WANTS to be loved, she’ll trust you more. 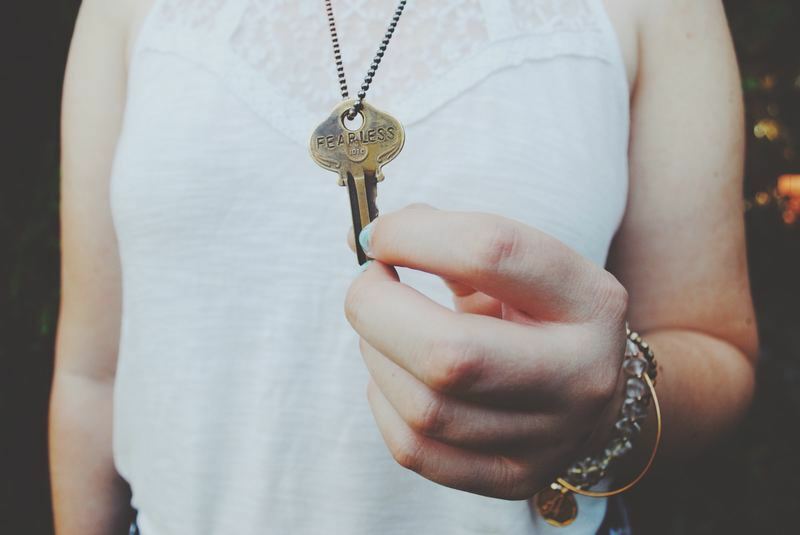 She’s more likely to confide in you, tell you the truth, and build a long-lasting relationship with you. If you speak the love language of SERVICE, are you speaking it to YOURSELF also? Do you organize your life so that it runs smoothly? Is your diary filled out, did you pack yourself a lunch? We can speak the languages of love to ourselves as well. They work internally as well as externally. In fact, that’s the main job, isn’t it? To show ourselves we are loveable and worthy, just because we are children of God, without waiting on somebody else to prove it to us. And now, a happy success story! A car hooted at me on the street, and a woman rolled down her window. A man was sitting next to her, driving the car. They pulled over to talk to me. I laughed and laughed, and I greeted the very nice man driving the car. He smiled and waved, obviously used to his wife’s delightful enthusiasm. She continued, “We have two children, they are soooo beautiful. Want to see photos?” She pulled out her phone and showed me. We hugged, and I wished them well. A divine guidance session is *not* fortune-telling. She could have chosen not to re-unite with her ex (they’d split for 3 years!) but she took the advice and ran with it, and now she’s happier than she’s ever been in her life. Would you like to ask your angels what to do next? The ten-question landline session is currently US $175 or R 1750. At the end of 2017, I’m going to eliminate the South African rands pricing and go with only dollar pricing. Now would be a good time for South Africans to book. Wishing you service to yourself and others, a feeling of being deeply loved and guided, and blessings in your everyday life!